Safeguard all your customer data before it’s gone. Can you imagine losing all your important account and client information in the event of a hard drive crash? Keep your business data secure with our easy to use, automatic cloud backup solutions. Access, collaborate and share files using your preferred device at anyplace, anytime. Call us at 1300 736 600 for details. Our cloud storage and backup solutions are easy to set up and help you safeguard crucial business data in case of a hard drive crash or any other unexpected event. At Complete Cloud, our consultants set up all your files in a manner that is suitable and beneficial for your specific business. With our robust 256 bit encryption and admin controlled keys, you no longer need to worry about the security of your files. Access all your files while on the go using any device! 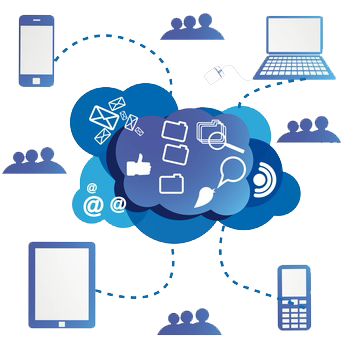 Our cloud solutions offer you the flexibility to access important business information anywhere anytime using your smartphone, desktop, tablet or laptop. As a business owner, you can now manage your tasks efficiently with automatic file synchronization features across multiple teams. With all your business files on the cloud, you can now control how your data is accessed and managed. Are you looking for a cloud solution that offers you greater file upload limits? At Complete Cloud we offer you upload limits of up to 50 MB. It’s all automatic! With Complete Cloud’s backup solutions, your files are automatically backed up as soon as any changes are made. You no longer need to worry about losing any crucial business information. Moreover, we also offer you the flexibility to choose the data you want to back up and how frequently. At Complete Cloud, we scan all your storage files for spam and viruses to minimize their chances of being infected. Our scheduled automatic scan ensures that only secure files reside on the cloud. With our friendly and unmatched customer support you always have a helping hand in times of need. Our experts are available round the clock over phone, email and chat to resolve any technical issues related to your cloud solutions. We are confident about our services and do not believe in binding clients with mandatory contract periods. Our policy is simple; opt out of our services anytime if you are not happy.